Don’t ignore the real crisis in Yellowstone, save our elk and moose! Since non-native Canada Gray wolves were introduced in Yellowstone Park in 1995, the once thriving elk and moose populations have dwindled to dangerous lows. Elk, counted at over 19,000 before wolf introduction, are now estimated at 7,500 remaining in the park. Moose populations have declined even more, from over 1,000 to fewer than 100. Wolves are completely recovered In Yellowstone and the greater Yellowstone ecosystem. There are 98 wolves in 10 packs living inside of Yellowstone boundaries. with more than 528 living within the greater Yellowstone ecosystem. These wolves kill 2,100 elk annually in Yellowstone and 11,600 annually in the greater Yellowstone ecosystem. The state of Montana has the ability to issue hunting permits outside of Yellowstone Park, using the long-established science-based approach to determine how many tags to issue per species to manage the full ecosystem of predator and ungulate populations. 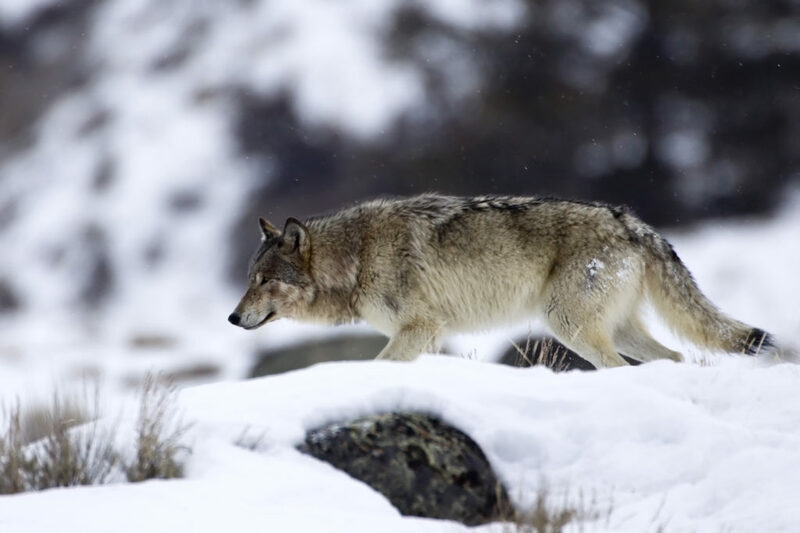 Radical anti-hunters have created a petition to create new buffer zones around Yellowstone National Park, proposing that wolves could not be hunted in that zone. Not only is this not necessary, but it would further damage elk and moose populations in the park and throughout the state, and likely drive the moose into extinction in the Yellowstone area.